André Chénier, born in Constantinople on October 30, 1762, was the third son of Louis de Chénier, an officer at the French embassy; his mother was a Greek, Santi l'Homaka ("la belle Grecque"), famous for her beauty and wit. After spending most of his childhood in southern France with an aunt, André joined his mother in Paris, where she had settled in 1773. While still in his teens, he became a fervent admirer of everything related to the language and civilization of ancient Greece. His natural fever for knowledge was stimulated even more by the brilliant artists and intellectuals he met during his mother's weekly soirées. His Levantine background and the luxury and refinement in which he was brought up made Chénier an attractive bon viveur who thoroughly enjoyed the easy nonchalance reigning in the Parisian salons - and boudoirs. At the same time there was in him the sensitive artist gifted with a rich inner life, one that allowed him to isolate himself from the troubled world around him and to take wing into the spheres of meditation and poetic inspiration. The only true poet of his time, he rediscovered Greek classic literature and gave it renewed beauty in his own powerful verses, conciliating antiquity and modern thought most naturally and restoring long-lost lyricism to French poetry. Predictably, Chénier detested garrison life in Strasbourg, where the regiment he joined in 1782 as a gentleman-cadet was stationed, and after six months he was back in Paris writing feverishly for a couple of years, until he realized his was no time for poetry. He became a member of the Society of '89 (the moderate wing of the revolutionary party) and subsequently started his short career as a political journalist, fighting eloquently against anarchy, injustice and tyranny. After the imprisonment of Louis XVI he sensed that the defense of the principles of the Revolution within the framework of moderation, law and order was a utopian dram and, in bitter disillusionment, decided to withdraw from public life. He fled Paris for some time, but too fascinated by political events, he couldn't refrain from returning - a fatal decision. On March 4, 1794, he was arrested by mistake while visiting friends in Passy and taken to police headquarters at the Luxembourg; officials didn't want to keep him, for there was no arrest warrant, but all the same sent him on to St. Lazare Prison, where he spent the last four and a half months of his life. Originally a leper hospital, St. Lazare had become a prestigious correctional institution for "prodigal sons" as early as 1632. During the Revolution it became a political prison and was called "one of the guillotine's most plentiful pantries". There Chénier met, among others, the poet Jean-Antoine Roucher, who became his confidant; Louise de Laval-Montmorency, abbess of Montmartre (both mentioned in the opera Andrea Chénier); a Vergennes (possibly the son of the Count Gravier mentioned in Act III of the opera, who had died in 1787); J.B. Suvée, who painted his most famous portrait, and Aimée de Coigny, Duchess of Fleury, alias Citizeness Franquetot. Chénier was at once attracted by this charming 23-year-old beauty, who became, after the already immortalized Lycoris and Fanny, his last muse, the one who inspired his best verses, those of "The Young Captive". This poem - which, along with all the others he wrote at St. Lazare, was concealed in a basket of soiled linen and sent beyond the prison walls to posterity - contributed immensely to the legend of Chénier and Aimée's tragic love affair, which, of course, never did occur in real life. In fact, this muse was hardly the angelic creature she appears to be in the poem, which actually may have been nothing more than an aesthetic reverie. Married at 16, Aimée had taken in the years that followed such famous lovers as the irresistible "beau" Lauzun, Lord Malmesbury and M. de Montrond. The last mentioned was imprisoned at St. Lazare with her and married her (Aimée's husband had died in exile) after they were set free - via a 100-louis bribe to the prison guard. In her memoirs there is no metnion of Chénier, and it is very likely that she didn't even know she had been immortalized in verse. Thus I strike my lyre once more. Points onward and onward fast. Regardless of the fate of his play [Charles IX; ou, l'Ecole des rois], no one denied that Marie-Joseph Chénier was a bon citoyen. An enthusiastic partisan of the Revolution, he had never wavered in its support. 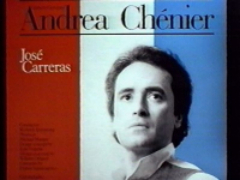 The same cannot be said of his older brother, André Chénier. After his education at the excellent Collège de Navarre, André eventually obtained a position as private secretary of the French ambassador to Great Britain, but when the Revolution broke out, he returned to Paris. There he threw himself into political journalism, joining his former schoolmates, the wealthy Trudaine brothers and François de Pange, in the moderate Feuillants party. But there was no place for moderates in the French Revolution. Soon the Journal de Paris, where he had published articles, was suspended, and Chénier had to lead the life of a suspect. He went to Rouen for a while but returned to Paris, stayed in Versailles, and was arrested in Passy, where he had accompanied the Marquise de Pastoret, the wife of a man imprisoned as a traitor and conspirator. 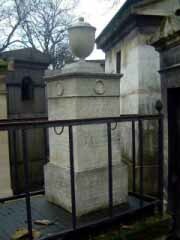 He was guillotined on 25 July 1794, at the age of thirty-one. The Revolution had killed the greatest poet France had produced in the 130 years that had passed since La Fontaine had written his fables. Chénier's fame is in great part due to his lyric and bucolic works, which revived the poetic vein in France. As a "committed" poet he holds a position midway between the seventeenth century Huguenot poet Agrippa d'Aubigné (Les Tragiques, 1616), who heaped his anger on the persecutors of the reformed faith, and Victor Hugo, whose vituperations were directed against Napoleon III. Although his production is much smaller than theirs, Chénier exhibits a great variety of tone, ranging from Olympian satire and irony to lyric and tragic outbursts. The same variety can be found in the forms he used: the hymn, the ode, and the iambic meter. It is the latter that lends itself best to lashing out at injustice. Its originator was Archilochus, who hurled his verses at his fiancée's father, who had broken his word. In Greek poetry, the iambic meter, with its couplets of a long verse followed by a shorter one, came close to sounding like prose, but Chénier adheres more closely to classical French verse, which avoids enjambment (overflow of verse into the next line). In his Iambes, too, he introduced a new note into French poetry by preserving classical forms while at the same time diminishing none of the sting of his attacks. Not all of Chénier's political poems are in the iambic meter. His Ode to Marie-Anne-Charlotte Corday is constructed on the theme of opposition. The revolutionaries are singing infamous hymns to Marat - Chénier will write an ode to the woman who killed Marat in his bath on 13 July 1793. For Marat he cannot find epithets insulting enough. le venimeux tissu de ses jours abhorrés! Et le sang des humains qu'il avait dévorés! The end of its venomous existence so despised! Opposition between an ideal civilization and perverted ideals. In ancient Greece, Charlotte Corday would have been honored. "Mais la France à la hache abandonne ta tête." ("But in France your head is cut off by the ax.") Opposition, finally, between the slogan of the Revolution (Liberty, Equality, Fraternity) - which was a mockery at the time - and Truth, which remains silent, Justice, which is rendered by sinister judges, and Virtue, in the sense of moral and courageous qualities. Notre immortel opprobre y vit avec ta gloire. Seule tu fus un homme, et vengea les humains. Entends, bell héroïne, entends l'auguste voix. Laisse régner le crime, et te vend à ses lois. Our immortal shame we live beside your glory. And we, vile eunuchs, cowardly and soul-less cattle. In that mud crawls one scoundrel less. Hear the august voice of its virile praise. Throughout the Ode to Marie-Anne-Charlotte Corday there rings a tone of bitterness and, at times, shameful resignation. By using the pronoun nous, Chénier includes himself among those who stand by, impotent and cowardly, while injustice rewards crime. Les cris ne montent point vers toi. Sentira quels traits sont les miens. Je le vois, j'accours, je les tiens. Do not rise up to your exalted heights. Creating a hecatomb at their tribunals. Will feel the power of my pen. Chénier reveals himself as a master of irony, worthy of Voltaire, in his Hymne aux Suisses de Chateauvieux. The Swiss mercenaries in the Chateauvieux regiment had revolted in August 1790. They held their officers for ransom, looted the funds of the regiment, and engaged in combat with the National Guard. Désille, a young officer, tried to avoid bloodshed and was killed by the Swiss. The rebels were tried: twenty-three were executed and forty-one sent to forced labor on the galleys. In December 1791 the galley prisoners were granted amnesty, and in February 1792 they were set free, whereupon they marched on Paris. The Jacobins felt they could turn the Swiss rebels to political advantage and, led by Collot d'Herbois, the painter David, and Chénier's brother Marie-Joseph, they arranged for a triumphal reception of the released prisoners. On that day, 15 April 1792, André Chénier wrote his "hymn". The unsuspecting reader may be misled by the opening. Salut, divin Triomphe! entre dans nos murailles! De tant de Français massacrés. Rentrèrent aux murs de Paris. (Hail, divine Triumph! enter into our walls! Of so many Frenchmen massacred. Never before your gates saw anything so fine. Of yore was carried to the sacred shrine. A tomb that only glory can bestow. To Paris came back for repose. And fanaticism and calumny in full defeat. Et volé que très peu d'argent. The word Nuit here has a double meaning: Night and Oblivion. And the final irony of transforming the former galley slaves into superseamen invoked by lost pilots constitutes a parting shot, not so much at the Swiss rebels as at those who had turned them into heroic martyrs. In prison, Chénier matures. He opens his heart to the sufferings of others. His most famous ode, La Jeune Captive, celebrates a young woman who actually was not so pure as he imagined and whose life was spared. The historical person matters less here than the sentiment. Que la hache appelle aujourd'hui? Ce sera toi demain, insensible imbécile. On whom the ax will fall today? That the one called out is not yet he. Chénier's last Iambe [IX] sums up his themes: a tenderness toward life, the defense of virtue, justice, and truth, the poet's role as witness of his times and of history, and a last shout of defiance. Au pied de l'échaufaud j'essaye encor ma lyre. Peut-être est-ce bientôt mon tour. Ma vie importe à la vertu. Relève plus altier son front et son langage. At the foot of the gallows once more my lyre I seize. Perhaps I'll soon be on my way. My life is Virtue's concern. O ma plume! fiel, bile, horreur, Dieu de ma vie! Sur tant de justes massacrés? Déjà levé sur ces pervers? Pour cracher sur leurs noms, pour chanter leur supplice? To hurl your thunderbolts, a lover to avenge you. Through you alone I carry on my strife. About so many just people massacred? Will tremble at their black portraits in paint? Already on those perverts raised? To spit on their names, to see their sentence carved? Suffer, heart full of hate, for justice starved. André Chénier did not write a fictional account of his sufferings nor did he sublimate them poetically. Drawn into the whirl of a mad world, he had not time to gain the necessary distance that fiction requires. And so he cast anathema at injustice, atrocity, and horror. His militant poetry does not always possess the high art that pervades his lyric poems, but his genius was such that his cries of anger, of frustration, and of vengeance created a new poetry in France, one that inspired Victor Hugo's Les Châtiments and the defiant chants of the poets of the Resistance during the Second World War. Umberto Giordano's Andrea Chenier premiered at La Scala on 28 March 1896. Giordano and his librettist Luigi Illica had all but given up hope of seeing their new opera come to the stage after unfavourable comments about it caused the original tenor, Garulli, to pull out of the leading role a few days before the first performance. 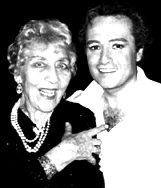 However, the opera was saved by an almost unknown singer, Giuseppe Borgatti. In desperation, Illica asked him if he would be willing to sing the role. Borgatti learnt the part in just six hours - in time for the first rehearsal. It was a triumph for both the tenor and the composer on opening night, with over 20 curtain calls and the audience demanding an encore of the "Improvviso". Otello, Tannhauser, Die Walkure, Aida, Faust, and more or less all the dramatic repertory of the era. She sang until 1910, and then dedicated herself to teaching singing in the city of her birth. e a lei serviva di scrigno, il firmamento. veniva una ca'rezza viva, un bacio. e invan stenddea la mano! Ecco la bellezza della vita! here a reason for ridicule! and to her the skies served as a coffin. came a lively carress, a kiss. I shouted, overcome by love. And I wanted, with great love, to pray! the tears of his children. Here the beauty of life! the life and soul of the world is love! "Switching effortlessly from the lyric poet Rodolfo in La Boheme a few weeks ago to the heroic poet Chenier, the Spanish tenor's vocal artistry held us spellbound throughout"
"Carreras sang the role with greatest distinction [...] Chenier is a hero as well as a poet and Carreras provides heroic notes, which comes as no surpise to those who followed his career closely over the past year [...] He set alight the opening act, which at times only smoulders, with a ringing timbre and notes hit plumb centre. He is the most honest of tenors: he fudges nothing. And as his recent Rodolfos proved, the lyricism remains for Chenier's final aria 'Come un bel di di Maggio' which, like the first act 'Improvviso', the librettist based on the verses of the real Chenier." "The singing is interesting as well. 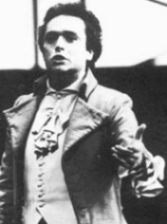 Tenor, José Carreras, while hardly having an easy time with this extremely heavy part, sings as impassioned a poet as one could ask for-his involvement in the text and the action very special indeed." "Carreras' concentration and dramatic accent, plus an ability to insinuate himself into a role, insured that though he did not provide the vocal essence of Chénier, he did create the synthesis necessary to convey that scion of liberty caught in the vortex of his own destiny and an epic cause." Including Barcelona 1979, La Scala 1982, London 1984, La Scala 1984, and Verona 1986.